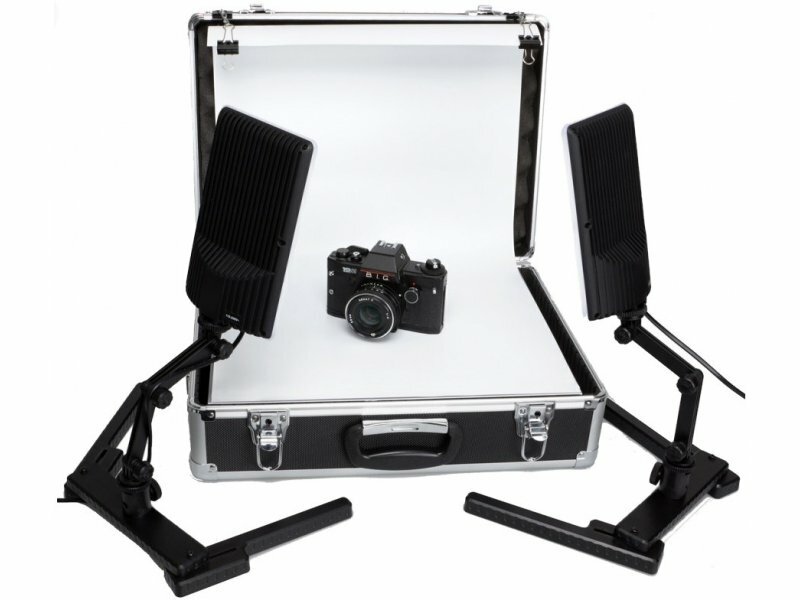 The mobile and compact photo studio for all Internet retailers, collectors, advertising people, representatives, buyers, experts and many more. 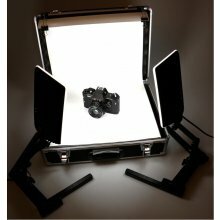 In sturdy aluminum case is a complete mini studio tucked away with a 40cm wide white plastic flute and 2 LED panel lights. 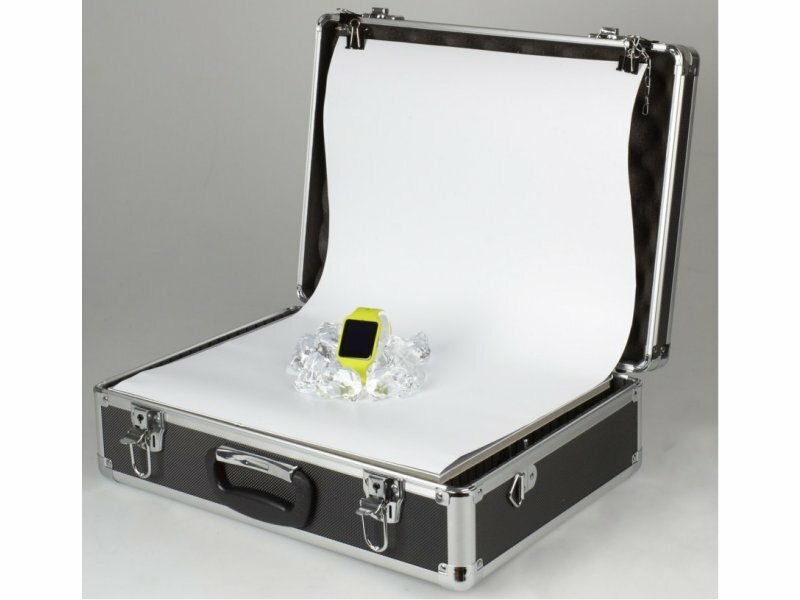 With additional plastic backgrounds or colored boxes of photo background can be varied as needed. 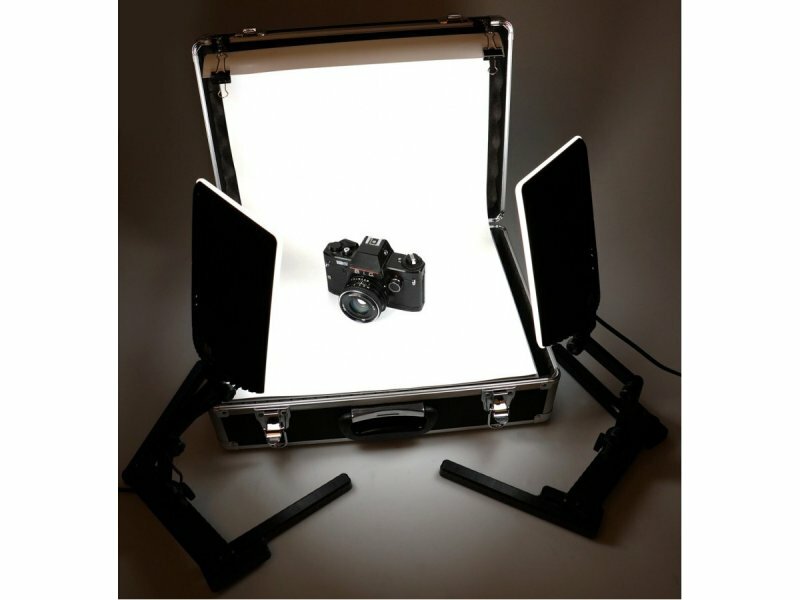 The flexible lighting with 96 LEDs give your products a beautiful, soft and color neutral light. In addition, the lights through the flexible arms are to be positioned individually and easily save through the LED technology even at the cost of electricity. Background Size: 40 × 72 cm.